LAS VEGAS (IBS Booth #C5431), January 19, 2016 – No matter the season or the region, outdoor living is hot! In fact, industry analysts predict that in 2016 the market will top $5.7 billion. To help homeowners make the most of their outdoor living spaces in the coming year, Trex Company, the leader in high-performance, low-maintenance outdoor living products, teamed up with design experts Paul Lafrance and Kate Campbell of HGTV’s “Decked Out” series to compile its annual Outdoor Living Forecast. Following are six trends these “Trexperts” predict will be influencing the look, feel and function of outdoor spaces in 2016. A growing trend over the past few years, the movement toward “bringing the indoors out” will reach new heights as homeowners infuse their outdoor spaces with all the comforts and conveniences of the indoors. To make an outdoor space truly feel like a “room,” Campbell also suggests integrating interior-inspired accents like decorative outdoor area rugs, cushions, pillows and throw blankets made of weather-resistant materials. “Add personality and color with plants, flowers, artwork and whimsical accessories, just as you would inside,” she notes. Another outdoor element that’s being influenced by indoor styling is deck railings. No surprise, really, since that’s the most visible aspect of a deck. When it comes to selecting the best railing for your outdoor space, Lafrance recommends using one of the “Three C’s” – coordinate, contrast or change it up. To make the selection process even easier, Trex recently introduced a set of curated railing looks that pair beautifully with the brand’s most popular decking colors, offering a variety of choices that reflect regional, architectural and personal preferences. Similarly, outdoor kitchens will get increasingly functional and more elaborate with cooking islands, pizza ovens, refrigerators – and, yes, even the kitchen sink. One of the hottest trends – literally – for 2016 is the incorporation of warming features into outdoor spaces. From candles and tiki torches to fireplaces and lighting, products that lend physical and ambient warmth will be in high demand. Campbell also predicts an increase in the use of outdoor lighting – especially when it’s integrated in new and innovative ways to accent outdoor features. Spot lights highlighting a feature wall or tread lights incorporated into a bar top are both popular options. Another traditionally indoor convenience that’s quickly making its way outdoors is automation. Today’s homeowners want to enjoy their time outside while also watching the game or listening to a favorite playlist – in high-definition and perfectly balanced surround sound, of course. Leisure time for many Americans is a luxury. This trend will continue to drive demand for low-maintenance materials in 2016 – especially outdoors. Unlike wood, composite decking, such as Trex, resists fading, staining, scratching and mold – and won’t rot, warp, crack or splinter. No sanding, staining or painting is required, and food and drink spills wash off easily with just soap and water. Additionally, Trex decking is made from 95 percent recycled material making it an environmentally friendly choice for eco-conscious consumers. Trex Company is the world’s largest manufacturer of high performance wood-alternative decking and railing, with more than 20 years of product experience. Stocked in more than 6,700 retail locations worldwide, Trex outdoor living products offer a wide range of style options with fewer ongoing maintenance requirements than wood, as well as a truly environmentally responsible choice. For more information, visit trex.com. 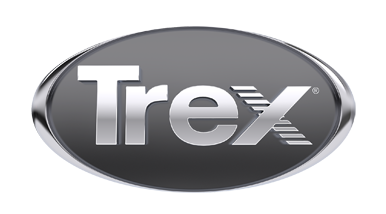 You also can follow Trex on Twitter (@Trex_Company) or Pinterest (trexcompany), “like” Trex on Facebook, or view product and demonstration videos on the brand’s YouTube channel (TheTrexCo. ).